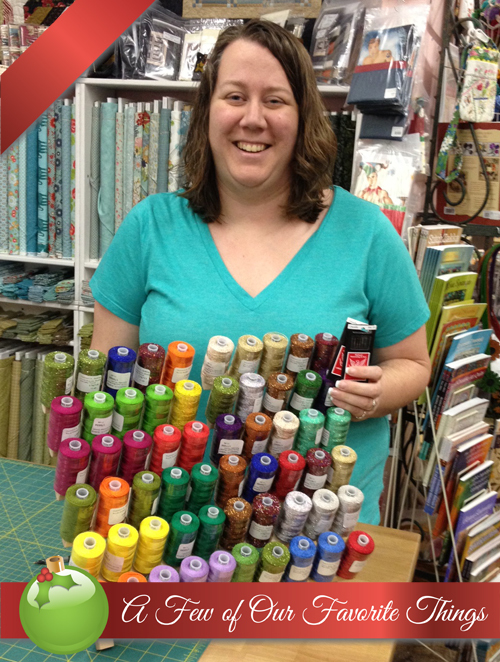 Wonderfil Dazzle Threads regularly priced $11.49, today $6.99. Wonderfil Razzle Threads regularly priced $11.49, today $6.99. Richard Hemming Chenille Needle Size 24 regularly priced $2.49, today $1.49. Wonderfil Dazzle Thread: 8 weight rayon with a strand of metallic. Comparable to a No. 8 perle cotton in size, this thread is fantastic for bobbinwork, couching, hand embroidery, decorative stitching, knitting and crocheting, and any decorative purpose. Wonderfil Razzle Thread: 8 weight, 100% rayon. Comparable to a No. 8 perle cotton in size, this thread is fantastic for bobbinwork, couching, hand embroidery, decorative stitching, knitting and crocheting, and any decorative purpose. Richard Hemming Chenille Needles Size 24: 6/card. Made in England. Finest Quality English Needles.